Final 2012 matric pass and placement numbers are out! The results of matric supplementary exams are out, and IkamvaYouth is proud to report an amazing overall 94% matric pass for the class of 2012! Even more impressive is that an incredible 90% of these passes are of either Bachelor or Diploma quality. IkamvaYouth is proud of our learners, and especially those who were undeterred by the blow of failing the first time round. “Second chances don’t always mean a happy ending. This was the chance for supplemental learners to end their Matric on the right note. 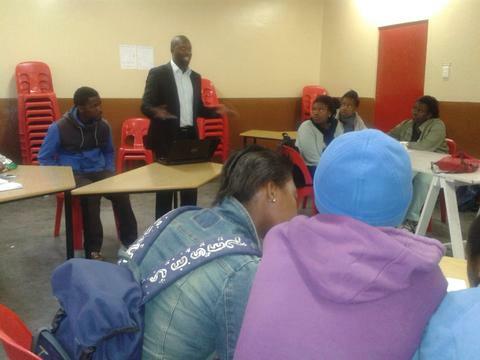 They all grabbed the opportunity and made it happen,” says Makhaza branch coordinator Zukile Keswa. And Ikamvanites aren’t passing by choosing easy subjects. IkamvaYouth matriculants are almost twice as likely to achieve a pass including pure Mathematics (45%) and Physical Sciences (37%) as their school peers (24% of whom pass Maths and 22% Science). Matric is just the beginning of lifelong learning, and over 73% of all IkamvaYouth’s 2012 matrics have accessed tertiary education this year and are now studying further at Certificate, Diploma or Degree level. More than half of these young men and women, 43% of our whole matric cohort, have enrolled at Universities or Universities of Technology. Our supplementary writers have secured placements too, through their grit and determination. “I was not happy to see other Ikamvanites going to varsity. I was angry at myself for failing. One of the things that kept me going was the support I got from IkamvaYouth and other 2012 matriculants. They were helping. I am now studying mechanical engineering at Northlink College. At least now I am also a student like other Ikamvanites,” says Anele Sololo. 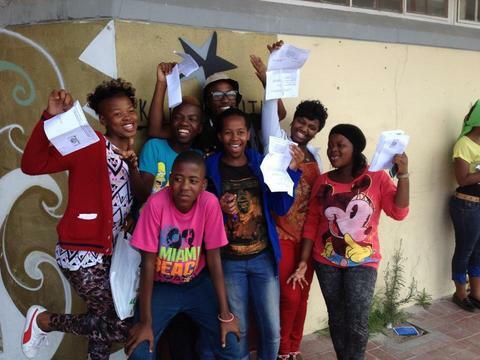 Most of our learners’ parents and guardians are unemployed, or working as domestic workers, cleaners or labourers. Ikamvanites are on the path to greatly improving their families’ circumstances as they enter fields of study including Chemistry, Accounting, Teaching, Engineering and IT. “Looking back to my family’s financial instability, I thought I wasn’t going to reach university… Then a week later, I received an email notifying me that I have been given 90% bursary towards my tuition to study this course, with the accommodation paid for. I was really overwhelmed, I couldn’t believe it,” wrote Talent Chinogureyi, who matriculated at our Chesterville branch and is now studying a B.Com in Politics, Philosophy & Economics at St Augustine College. Another 20% of the IkamvaYouth class of 2012 – most of those who did not access tertiary education – are now in learnerships or employment. And 2% are returning to school this year, to upgrade their matric results. That brings our post-school placements for the class of 2012 to 96% – a brilliant result considering that nationally, almost 42% of South Africans aged 18-24 are not in employment, education or training. 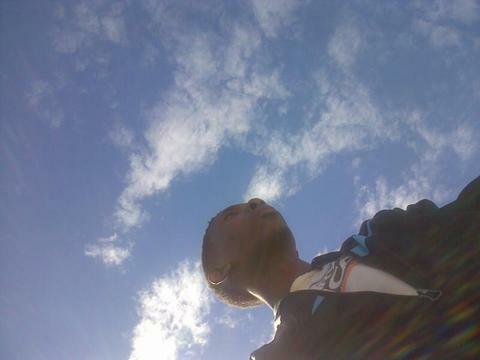 2010 is when it all began, I was one of those “weird” boys from the township with dreams as big as the Taj Mahal and go on forever like the Eiffel Tower. Obviously this was considered quite unorthodox in a typical township, where each day is survival and a battle to refuse a “blunt” or any other drug offered kindly. I went to Chesterville Ext. Secondary a school situated in a place known as one of the crime hotspots. Ikamva Youth came in just when I needed the drive to push and keep going. I had just started a new subject package. Science and Mathematics were proving not to be child’s play and then I joined Ikamva Youth just when I thought Physics was for dummies that had no social life, to my surprise I found myself actually enjoying studying with other learners and working with a tutor was much more relaxing than staring at an old teacher with a stern look. South Africans were celebrating the FIFA world cup being hosted in their own country but I was celebrating more than that, I was also meeting new people both learners and tutors who would tell of their stories as varsity students. From grade 10 to grade 12 I was always the highest in Hospitality class and this was only possible because of the resources provided by IY like unlimited internet access which would allow me to do my research every time I had an assignment or a project. I also excelled remarkably on almost all my subjects. Now I’m in varsity studying Language Practice and I’m now also a tutor for IY, I also hold the title of portfolio head for Media Image and Expression. From the days I was a learner to today God knows it has not been a ride in the park neither has it been marshmallows and honey muffins. Being an Ikamvanites means you should be a goal orientated and determined learner, the kind of person who always dares to dream without forgetting you’re an individual and you were made to stand out! The future is our hands. On the 25th of May, Nyanga’s branch committee got a much-needed session on budget training by IY Financial Assistant, Asanda Nanise. IY has a democratic system of governance starting at branch level, where key decisions are made by learners, volunteers and staff members together. Asanda took the group through the branch’s budget, explaining how the budgets are drawn up each year, and then moving on to the different portfolios and the amounts available to them for the year and how much they have used so far. Branch com members had many questions, ranging from how figures were arrived at for each item, and whether there was space to start new projects at the branch, in light of fixed amounts for the different expenses. 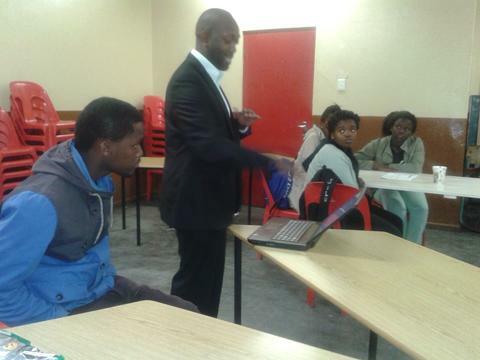 Asanda was up to the task and responded to each question, with the help of branch staff, Shuvai and Siphelele. At the end of the session, Asanda encouraged the branch committee to find cost-effective ways of running programs, for example fund raising for projects and opting for free options for service provision, where available. This year, Nyanga branch is looking forward to a more collaborative branch com effort in structuring next year’s budget and deciding on the branch’s financial future. A very special thank you to Asanda Nanise for preparing a very sound and yet easy-to-understand workshop on Nyanga finances. On the 25th of May, Nyanga tutors got an opportunity to hold a meeting with each other and the branch staff, in order to exchange best practices, get an update about the upcoming Winter School, IY’s upcoming Child Protection and Computer and Internet policies, and how these will affect volunteers. 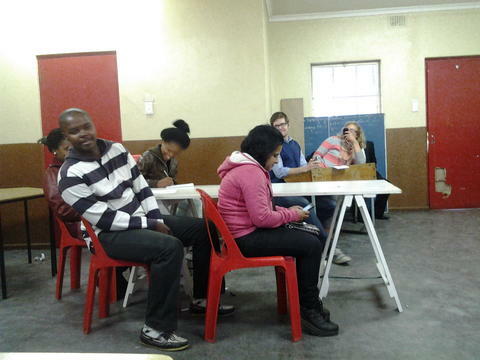 The meeting was attended by our longest-serving volunteers, our newest volunteers and 2012 Matrics who have returned to volunteer. This mix of the different kinds of volunteers made for a good exchange of ideas and viewpoints regarding the issues under discussion. By the end of the meeting, the tutors had made suggestions towards the policies discussed, and shared their knowledge with each other, ranging from how to explain concepts to learners, to guiding learners to become self-starters. It was a very productive meeting and we would like to say an immense THANK YOU to our amazing tutors for the work they do with the learners and their invaluable contributions to the branch. COKE and POPCORNS!!! Having arrived safely at the Sandton Ster- Kinekor, Ikamvanites were welcomed with coke and popcorns and an address from the STANLIB, CSI manager Ms. Nolwandle Ntshiza. STANLIB Smartbuck: Mind your Moola campaign, aims to instil financial literacy lesson through the medium of comedy and drama. The learners enjoyed a 1 hour comedy-drama film, screened at the Ster Kinekor theatre. The film aimed to address some challenges facing young people such as wasteful spending, lack of savings and having debts. This campaign also gave learners an added advantage on the importance of the value of money and how to spend it. Ikamvanites had lots of fun and said the film was funny, relevant and informative. This campaign also gave some learners their first taste of what is like to watch a film on the big screen. The learners ended the morning in high spirits. Thank you to Shine Solutions for the invite.